All of our palates change with time, I assume. I know mine has. 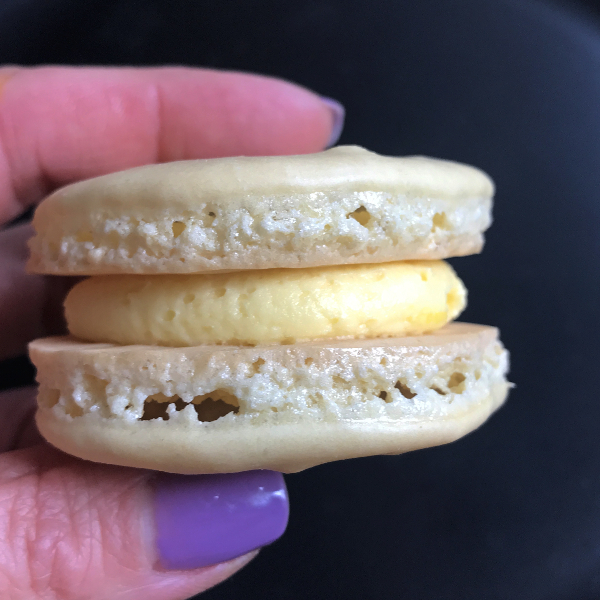 It’s a topic my husband and I often discuss: what dishes didn’t you eat as a kid that you love now? One of the items on my “wouldn’t eat it as a kid” list is rhubarb. My mom never cooked with rhubarb. I don’t know why, but it wasn’t part of any sweet or savory dishes at our house. My first introduction to it was at a friend’s house, served in a strawberry-rhubarb pie. I remember being so disappointed. 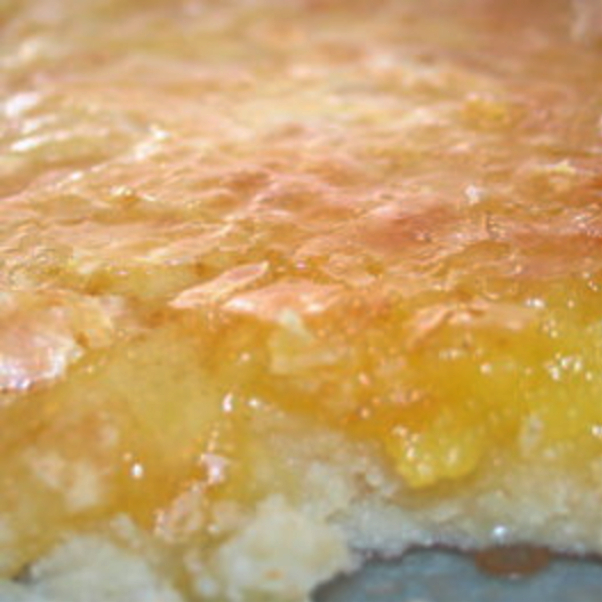 I’ve always enjoyed dessert but found that pie to have a mushy filling and slightly odd taste. From that point on rhubarb was on my no-thank-you list. Fast forward to about a decade or so ago when I tried a friend’s rhubarb crumb bars. Remembering my childhood experience I was hesitant. However, this friend was a good cook, so I gave the treat a try. Much like Sam I Am, I discovered that the rhubarb bars were delicious! The lesson learned, belatedly, was that preparation of rhubarb, like many ingredients, is key to a successful dish. 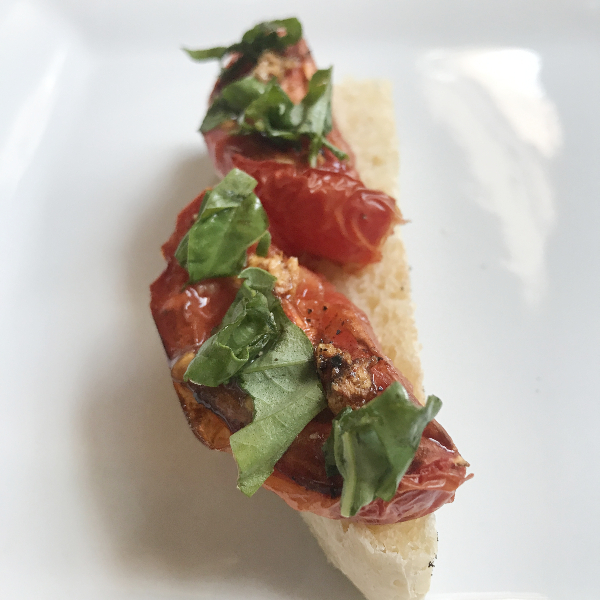 With a new ingredient in my repertoire, I experimented with this late spring produce. I made the salad that I shared on Tuesday. I also made a rhubarb chutney that makes a fine addition to a cheese board. Because rhubarb quickly changes texture, I stuck to these recipes, fearing I would produce something less edible. However, when I saw rhubarb in the store the other week, I knew it was time to expand my horizons again. Could I create a dish that kept the rhubarb al dente but tender? This crostini topping is proof that I did. Keep in mind that rhubarb is tart, and everyone has his or her own preference for tartness levels. 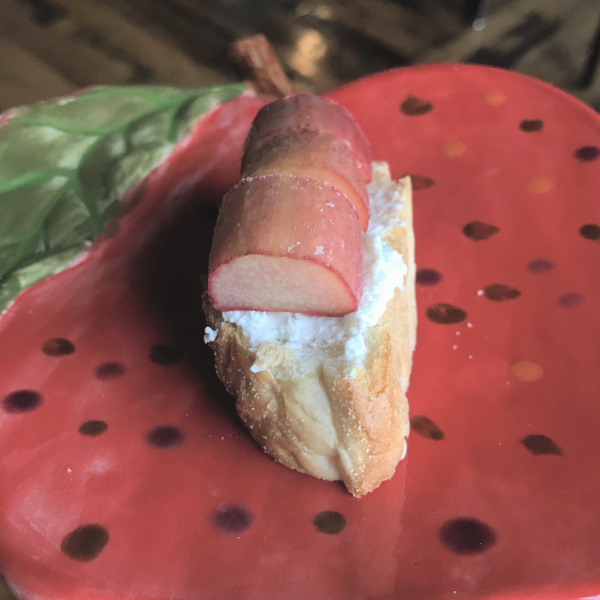 I suggest serving the crostini with just goat cheese and rhubarb and let your fellow diners sprinkles the desired amount of sugar or honey on the dish. Then be prepared for utter delight as you taste tangy goat cheese, tart rhubarb, and a hint of sugar. It’s a pretty amazing snack! 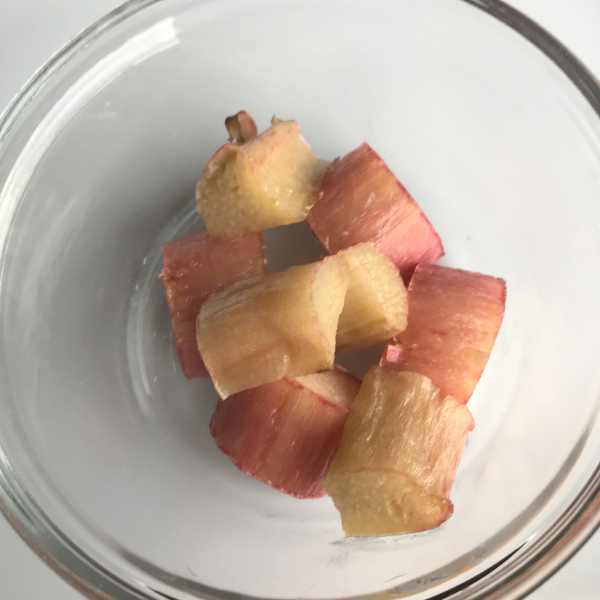 Cut rhubarb into 1” slices. Drizzle with olive oil and toss until all are coated. Toast baguette slices, if desired. 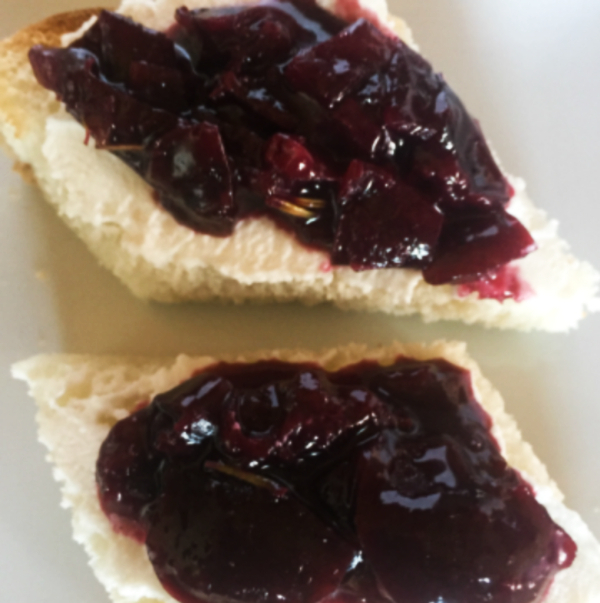 Top cracker or baguette slice with a tablespoon or two of goat cheese. 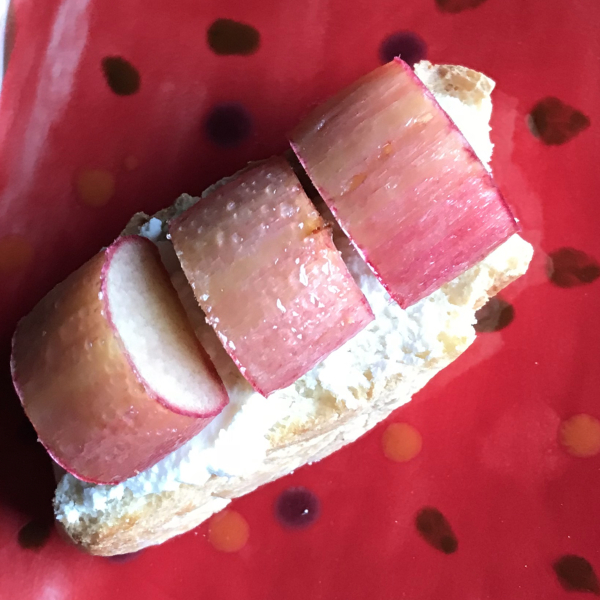 Place a few rhubarb slices on goat cheese. Sprinkle with sugar or drizzle with honey. The rhubarb quickly transforms from fork tender to mushy. Be sure to check starting at 6 minutes to guarantee properly cooked rhubarb.